For use along the outside edge of flat roofs for both pigeons and seagulls. 380mm high designed to lift netting off flat roofs, whilst looking acceptable at the same time. Made from stainless steel to give a durable long-life construction. Secured using coach screws and silicone through 4 X 10mm hole. 10mm holes provided at the top and bottom of the upright to accept barrel strainer hooks. 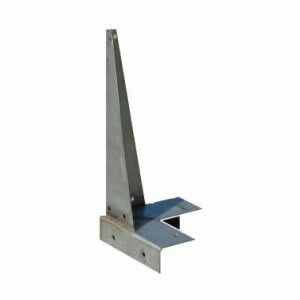 These roof brackets are designed to lift netting off flat roofs, whilst looking acceptable at the same time. 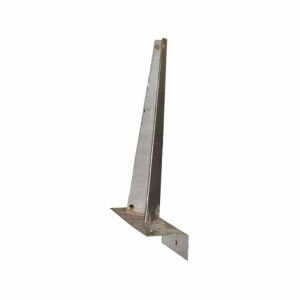 Made from stainless steel, the roof brackets are 380mm high and are ideal for both Pigeons and Seagulls. These will pierce the roof and coach bolts are required for fixing. To avoid leaking roofs after fixing the brackets use a silicone sealant.